Consular processing is the procedure of applying for an immigrant visa (green card) through a U.S. Embassy or consulate in a foreign country. Consular processing is one of two paths for obtaining an immigrant visa to the United States through family-based immigration. The other path being adjustment of status. If the applicant is outside the U.S., the only path for immigrating to the U.S. is to use consular processing. The following describes in general terms the process for obtaining a family-based green card through consular processing. In this process, the petitioner is a U.S. citizen or permanent resident, and the beneficiary is the person obtaining a green card. A similar process is available to U.S. citizens that want to bring a fiancé (as well as any children of the fiancé) to the U.S. for marriage. This process begins with the U.S. citizen filing Form I-129F, Petition for Alien Fiancé(e). This path is not available to the fiancés of lawful permanent residents. U.S. Citizenship and Immigration Services (USCIS) will notify the petitioner of a decision. If the petition is denied, the notice will include the reasons for denying the petition and any rights to appeal the decision. If the petition is approved, USCIS will send the approved petition to the Department of State’s National Visa Center (NVC), where it will remain until an immigrant visa is available. USCIS will also mail an approval notice to the beneficiary. The I-130 approval notice will arrive by mail as Form I-797, Notice of Action. It will look similar to the approval notice pictured below. The National Visa Center, which is responsible for the collection of visa application fees and supporting documentation, will notify the petitioner and beneficiary when the visa petition is received and again when an immigrant visa is about to become available. For immediate relative categories, there is an unlimited number of visas available. So the process is relatively quick. For family preference categories however, there’s a numerical limit on visas available each year. As a result, there is generally a wait associated with family-preference immigrant visas, and you’ll need to understand how to read the visa bulletin. 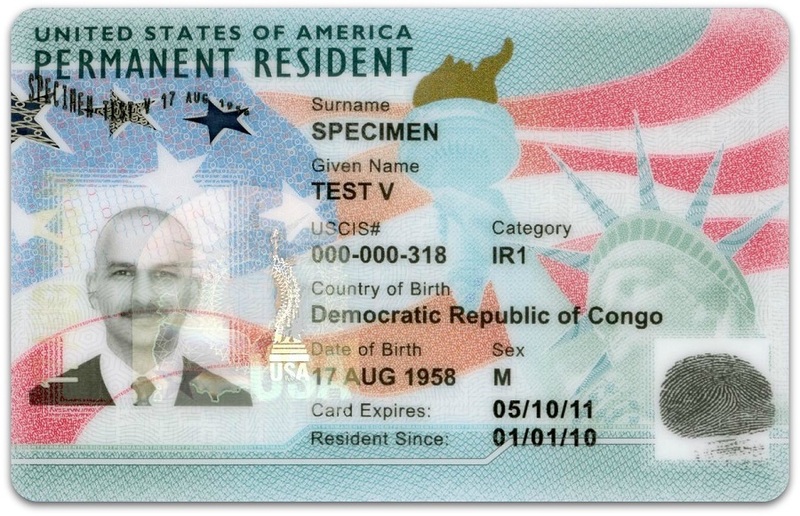 The beneficiary can apply for a green card through consular processing once USCIS approves the I-130 petition and a visa is available. For a more complete explanation of this process, begin reading at Family-Based Immigration. For an approximate timeline, view What Happens After Filing Form I-130. The NVC will also notify the petitioner and beneficiary when the beneficiary must submit immigrant visa processing fees, the visa application and supporting documentation. At this time, the beneficiary and each qualified family member immigrating with the beneficiary must complete the Application for Immigrant Visa and Alien Registration (Form DS-260). In most cases, the U.S. petitioner will be required to submit a Form I-864, Affidavit of Support. The affidavit of support is a legal contract between the sponsor (petitioner) of an immigrant visa applicant and the U.S. government. It’s a promise to support the beneficiary if the person does not have the means to support him or herself. 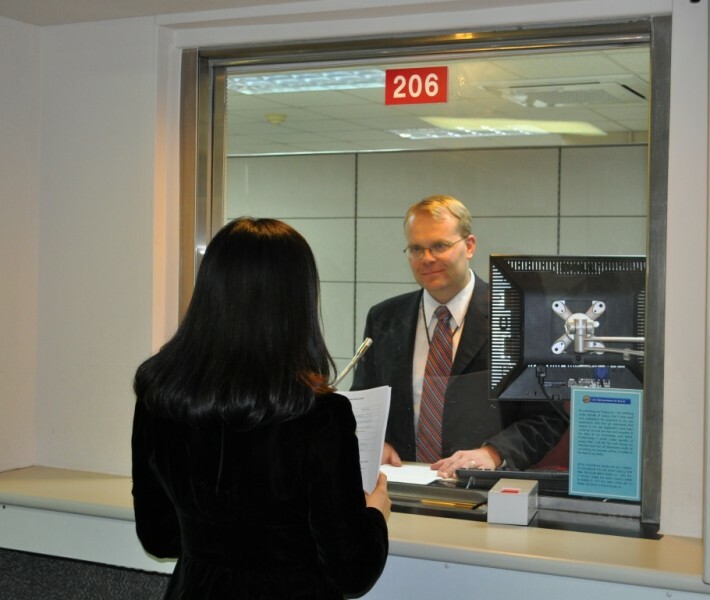 Once a visa is available and the NVC has received the DS-260 and all supporting documents, the consular office will schedule the beneficiary for an interview. The consular office will complete processing of the applicant’s case and decide if the beneficiary is eligible for an immigrant visa. Upon arrival to the United States, the beneficiary will give the Visa Packet to the Customs and Border Protection (CBP) officer at the port of entry. The beneficiary will be inspected by a CBP officer, and if found admissible, will be admitted as a permanent resident of the United States, which gives him or her the authorization to live and work in the United States permanently. USCIS will mail a green card to the beneficiary once he or she is inside the United States. If the green card is not received within 45 days of arriving in the U.S., call the USCIS National Customer Service Center at 1-800-375-5283 or visit a local office by making an InfoPass appointment. Consular processing takes approximately 4 to 12 months for immediate relatives. Due to the wait for a visa to become available, the process will likely take much longer for family-preference immigrants. Because consular processing generally has a shorter processing time, it’s preferred by some applicants over adjustment of status. What’s more, consular processing has a lower risk of refusal. Unlike USCIS officers, consular officers cannot refuse to issue a visa based on discretion. This means that the consular officer must have specific, factual evidence for denying an application. However, cases that are denied are generally non-reviewable. In other words, it’s a final decision. For a more detailed analysis of the advantages and disadvantages of consular processing, read Adjustment of Status vs Consular Processing. For detailed, step-by-step instructions through the consular processing path, visit the U.S. Department of State’s website. 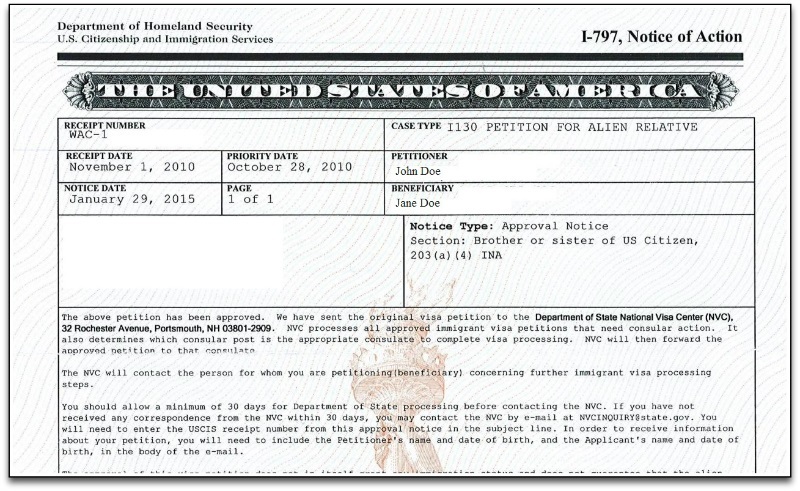 Form I-130, Petition for Alien Relative, is used to begin the immigration process. 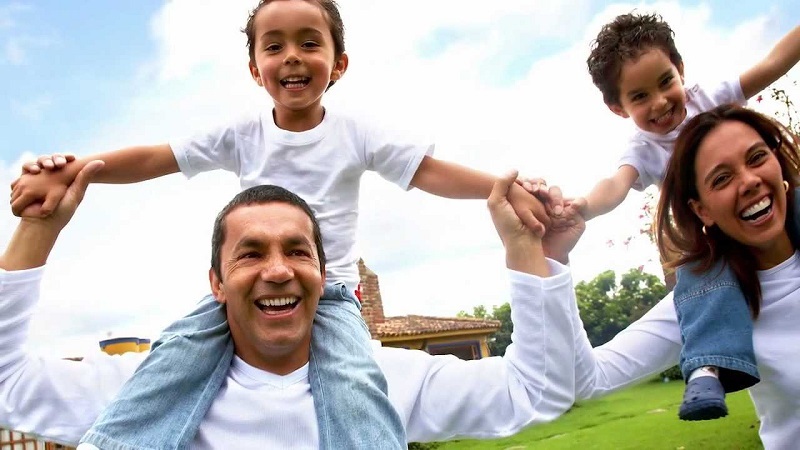 A U.S. citizen or lawful permanent resident may file the I-130 petition for eligible family members. For family members with straight-forward cases (no arrests and immigration violations), filing an I-130 petition can generally be done without a lawyer. Yet, each year, USCIS rejects or denies thousands of I-130 petitions. CitizenPath’s self-help software makes preparing Form I-130 easy, and it helps eliminate the common errors that create delays, rejections and even denials. The low-cost service also provides alerts if you answer a question in a way that might be a problem. It only takes a few minutes, and you’ll be able to file Form I-130 to help a relative immigrate to the United States. It’s a powerful, do-it-yourself tool that puts you in control. And we’ve got your back — CitizenPath guarantees that your petition will be accepted by USCIS. Our software will guide you through the I-130 petition using simple step-by-step instructions. Pay only $119 + USCIS fees. Once you’re completely satisfied, you’ll be able to print your I-130 and customized filing instructions. How do I start consular processing? The consular process can begin only after USCIS approves the immigrant petition (Form I-130) and a visa number becomes available. For immediate relatives, a visa number is always available. For family preference categories, the intending immigrant will need to monitor the visa bulletin. The National Visa Center contacts the intending immigrant when both conditions are met and invites the intending immigrant to submit an immigrant visa application. How much does consular processing cost? The entire consular processing path, including an immigrant visa petition, will cost approximately $1,200. For a breakdown of government fees and CitizenPath preparation fees, see the consular processing costs. How long does consular processing take to complete? The time it takes to complete consular processing is generally shorter than the adjustment of status process. There are always exceptions. An immediate relative can anticipate that the consular process will take about 4 to 12 months. However, family preference categories will have a much longer wait. The wait is due to the limited availability of immigrant visas as explained in How to Read the Visa Bulletin. Can I visit the U.S. with a pending I-130 petition? It’s possible to get a B1/B2 visa, but it shouldn’t be expected. When the I-130 petition is filed on your behalf, it signals to the U.S. government that you intend to live in the U.S. permanently at some point in the future. As a result, your application for a nonimmigrant visa will receive additional scrutiny. Nonimmigrant visas are generally only issued to travelers that provide sufficient evidence that the visit will be temporary. Many people within pending I-130 petitions are able to successfully travel to the U.S. on a B visa, or even the Visa Waiver Program. Spouses of U.S. citizens may also be able to apply for a K-3 visa. Each case is different. So speak to an immigration attorney about your situation.